Bexhill-on-Sea grew up around the railway, which first came to the area in 1846. In medieval times Bexhill was a manor owned by the church. After the reformation, Elizabeth I owned it and granted it to Thomas Sackville, Earl of Dorset in the C17th. During the Napoleonic Wars, Martello towers were built on the Sussex coast; one survives at near by Norman’s Bay. Also, the town became the base for the infantry of King George III’s King’s German Legion (the KGL). At that time, King George III was also Elector of Hanover which was occupied by Napoleon’s forces. The Bexhill KGL went with Wellington to Waterloo where most of them perished. 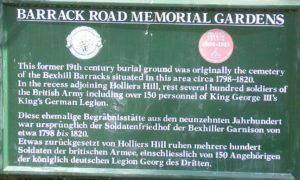 Bexhillians laid a plaque at La Haye Sainte in memory of the brave KGL who had lived for ten years in Bexhill. For those who enjoy gardens or heritage Bexhill Old Town is about 1 mile north of the town centre. It’s a steep hill, but a fairly short up-hill walk up Sea Road to the Manor Gardens. Here you will find the remains of a Tudor manor and its lovely gardens. There are also many listed buildings in the old town. 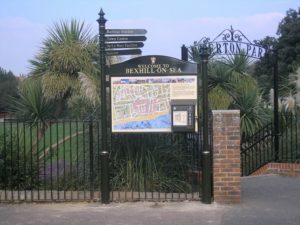 Many of the landmarks in Bexhill Old Town mark the presence of the KGL. Hanover House was once occupied by their commander Colonel Halkett. Barrack Hall Park is the site of their parade ground. And their local burial ground is in Barrack Road. Some of the KGL contracted malaria while on campaign with Wellington in Holland. The survivors came back to Bexhill, but some later died of the disease. They are buried in Barrack Road Memorial Ground. The town centre developed after the arrival of the railway. Today, on the corner of Sackville and Western Roads, the red brick building is the town’s Library. It originally opened in 1893 as St Barnabas’ girls and infants’ school. Also, in Western Road is the Curzon Cinema building. The venue was run independently for several decades and dates from 1921. It opened then as the Picture Playhouse. The building has since undergone loving refurbishment by J D Wetherspoon and is now a bustling, busy pub and restaurant. On the roof, the roof-garden is complete with palm trees! 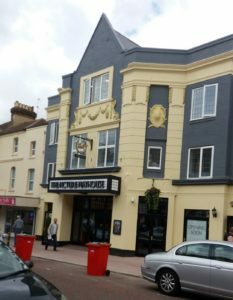 It is worth a visit to Bexhill just to see what J D Wetherspoon has done to this little piece of cinema history. At the end of Western Road in Devonshire Square, is the imposing 1930s Post Office building. Across the railway bridge and east along Station Road is the Town Hall. It is an imposing Town Hall, which the Lord Mayor of London opened in 1895. Bexhill received its Charter in 1922 and it was the first town Charter to arrive by Motor Car. Opposite the Town Hall, on Amherst Road, stands the impressive building of the London and County Bank, dating from 1898. It is now flats. You can still clearly see its original title on the outside and the initials LCB appear on the weathervane. To the west of Town Hall Square, along Terminus Road, lies the old West Bexhill Station. The line closed in the 1960s after the Beeching destruction of the railways. The old station building re-opened in 2011 as an antiques centre and café called Eras of Style. The centre sells a quirky mix of ephemera mainly ranging from the Georgian period to the 20th century, including oddities such as vintage fairground items. De La Warr is pronounced De La Ware. In the early C17th De La Warre went to Virginia and founded Delaware. In 1813, Elizabeth Sackville married the 5th Earl De La Warr and it was their grandson, the 7th Earl, who began the transformation of Bexhill from a small country village into a seaside resort, along with his son the 8th Earl. 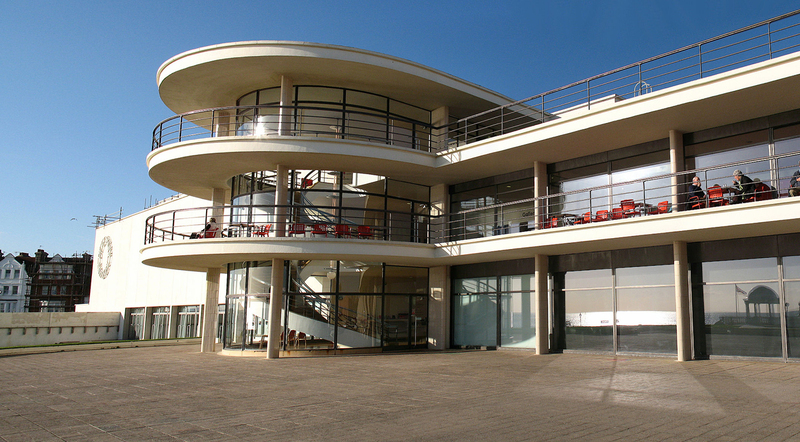 Bexhill was a modern and fashionable resort. It was the first beach in England to allow mixed sea bathing. When bicycles were the vogue, a bicycle boulevard was built along the eastern seafront. Later, when the internal combustion engine arrived, the boulevard became a racing track. In 1902 Bexhill hosted the first international motor car race. Bexhill Museum has a working model of a Serpolet car on permanent exhibition. The inspiration for the new Bexhill came from time spent in Monte Carlo and Nice on the French Riviera. The De La Warr’s building efforts culminated in the opening of the De La Warr Pavilion in 1935 by the 9th Earl. He also chaired the Council for the Encouragement of Music and the Arts (CEMA) the forerunner of the Arts Council. 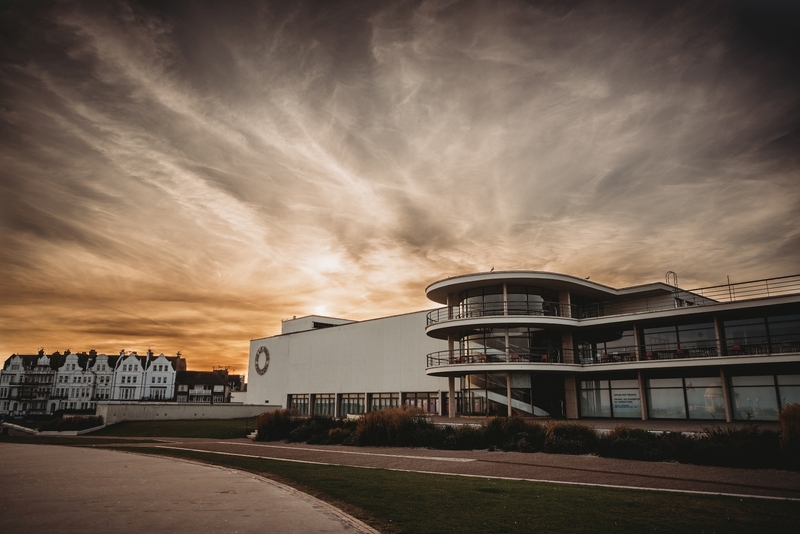 Today, the DLWP is one of the finest icons of Modernist architecture in the country. Its art exhibitions, concerts and terrace café remain one of the town’s biggest draw for visitors. 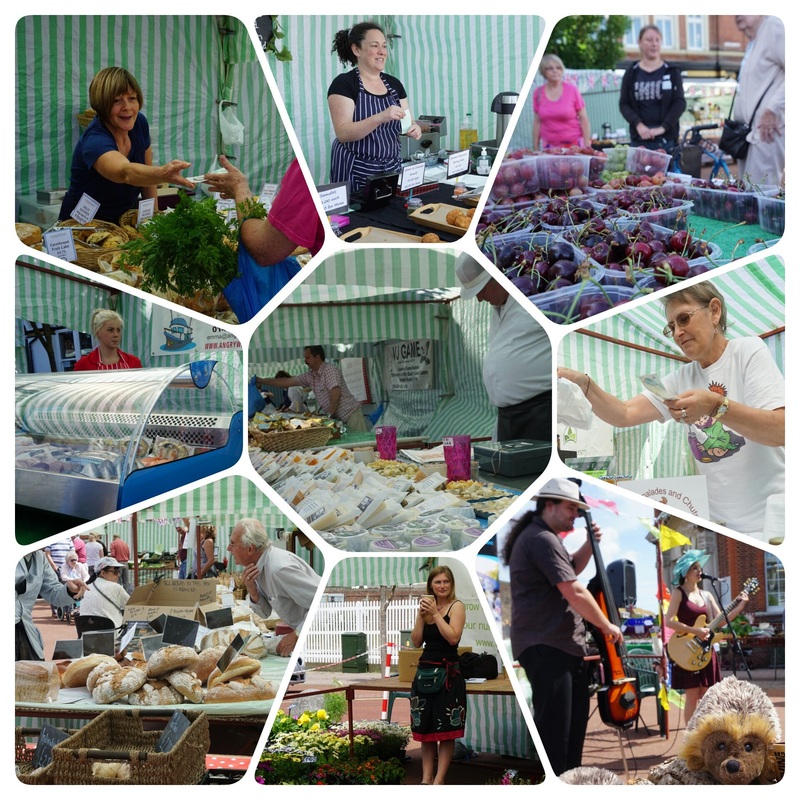 Bexhill today is a busy town with a weekly Farmers’ Market on Friday mornings in Devonshire Sq. The sea-front has 3K of level promenade with award winning planting, some traditional sea-side carpet planting, and some modern. With the Rowing Club and the Sailing Club both on the sea-front, the beach is often filled with activity. The TG is alive and kicking in Bexhill-on-Sea, and also in St Leonards. There are 9 active guilds between Hastings and Bexhill, and the St Leonard’s Guild had recently celebrated 60 years. Guilds meet regularly, members support national campaigns, and they hold social activities for their members. Local guild members danced a record breaking Charleston (twice), stewarded record numbers of mermaids on Bexhill beach, and are the biggest fans of Bexhill MotoFest! 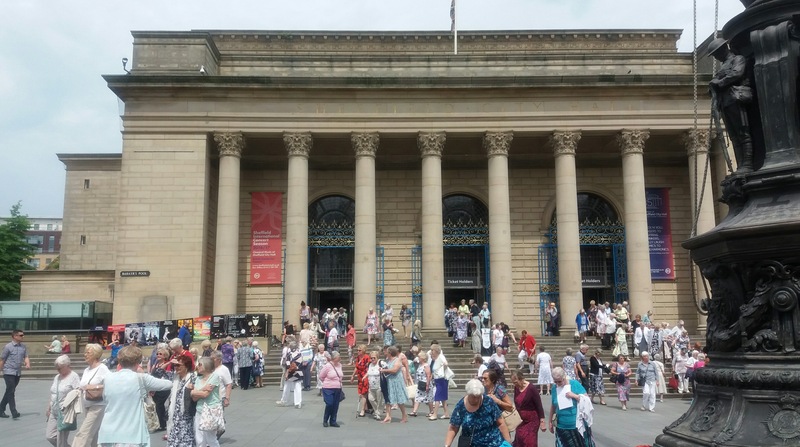 And here some of them are, attending the national conference in 2017 at Sheffield Town Hall. Mad Margaret’s Minstrels Go on Tour with Harrogate or Bust! 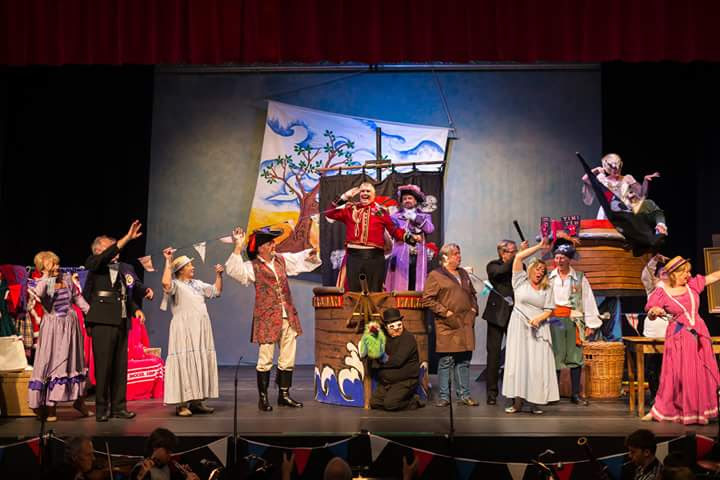 In 2016, Mad Margaret’s Minstrels performed their very own light operetta at the International Gilbert and Sullivan Festival in Harrogate. Local teacher, Margaret Amey, wrote the plot: overcome all the obstacles and do it! Lord Simon has to get the cast to Harrogate and put the show on. But he is beset by everyone and everything from the health and safety officer to ‘a chorus of unruly ghosts’. It’s G&S, so – no matter how improbable – provided they keep singing it’ll all be alright on the night! And, they’re back in 2018 with their next homage to G&S, The curse revisited or A slave to litigation. There are also several festivals; MotoFest celebrates everything motorbike and very loud music, and 1920s Day celebrates everything Charleston. 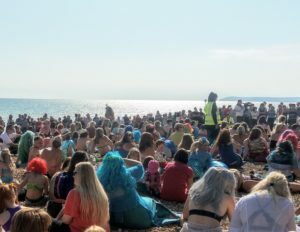 Bexhill has held two Guinness World Records; one for the largest number of people dancing the Charleston, and one for the largest assembly of mermaids. There are three galleries to explore. The Sargent Gallery contains some of the museum’s first collections. These include stone age, bronze age and Egyptian finds and a notable insect and butterfly collection. The Motor Racing Gallery celebrates Bexhill’s role as the birthplace of British motor racing. Three vehicles are on display covering a century of motor racing. The museum has a working copy of a steam-driven 1902 Serpollet or ‘Easter Egg’. Also a 1958 mk III Elva sports racing car, and the 1993 world record breaker Volta electric car. The Costume Gallery, meanwhile, displays the collection of the former Costume Museum. It has super displays which lead you through two hundred years of changing fashion and design. Exhibits range from tortuous corsets to stunning evening dresses. Aspects of each era’s social history come to life with a selection of original everyday items alongside the costumes. Perfect descriptions of a wonderful Town. Well worth a visit anytime of the year. In the middle of the Coastal Culture Trail between Eastbourne and Hastings Bexhill is best placed to take advantage of the 21st Century cycling revolution. I would only add that the sunsets are stunning, and the people very friendly! 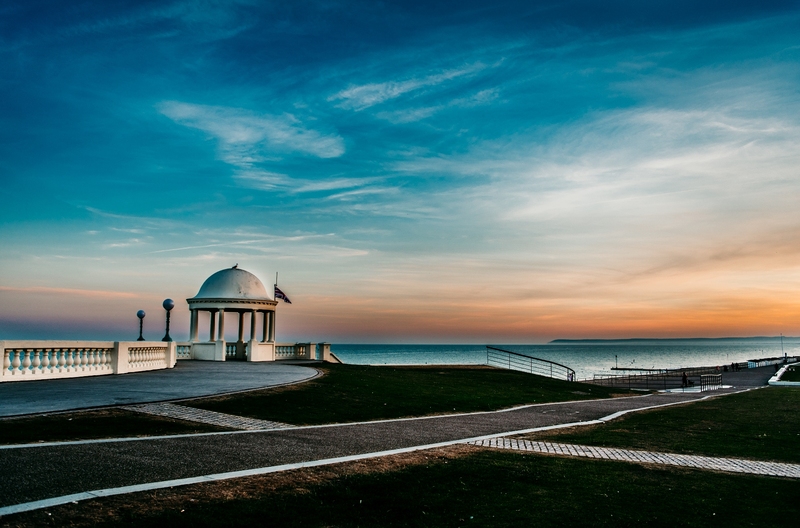 Bexhill is a peaceful and special place and well worth a visit. Absolutely, we will have to add a photograph of the sunsets. They have to be seen to be believed.